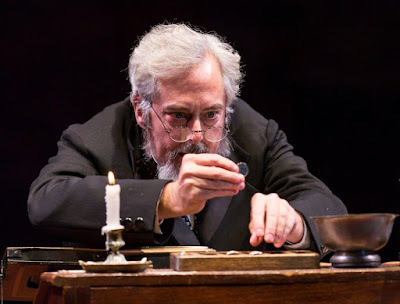 The 20th anniversary production of Michael Wilson's adaptation of Charles Dickens' A Christmas Carol, this year with a new Scrooge, Michael Preston, who replaces Bill Raymond, who had played the Christmas-hating miser for most of Hartford' Stage's run of the holiday classic. Preston, a master juggler, had played inventor Mr. Marvel (Christmas Future) for the past six years. New casting also is in effect for other principal characters this year as well: John-Andrew Morrison as Mr. Marvel; Kenneth De Abrew as Fezziwig; Rebecka Jones as Ghost of Christmas Past; Shauna Miles as Mrs. Cratchit. There also are some new costumes from Designer Alejo Vietti. 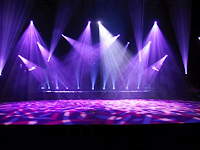 Some very good special effects with flying by ZFX, Inc. and lighting by Designer Robert Wierzel. It's become a holiday tradition for the Hartford area. 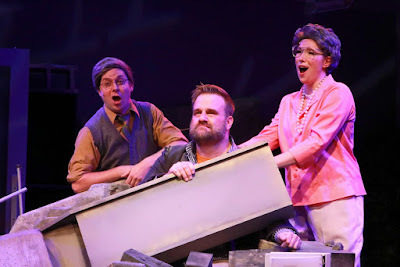 This year 14 Hartt School at the University of Hartford students and 26 youths from across Connecticut are in the cast. This isn't one of my favorite adaptations. No surprise, given the subtitle, but the emphasis is on scary ghosts and special effects, not on the transformation of Scrooge's hard heart. The theater suggests the production is for children 8 and up. Scrooge always appears youthful and rather jolly to me (this one even juggles out of character with the one I have in mind from the Dickens text). Some color-blind and gender-neutral casting doesn't work well. 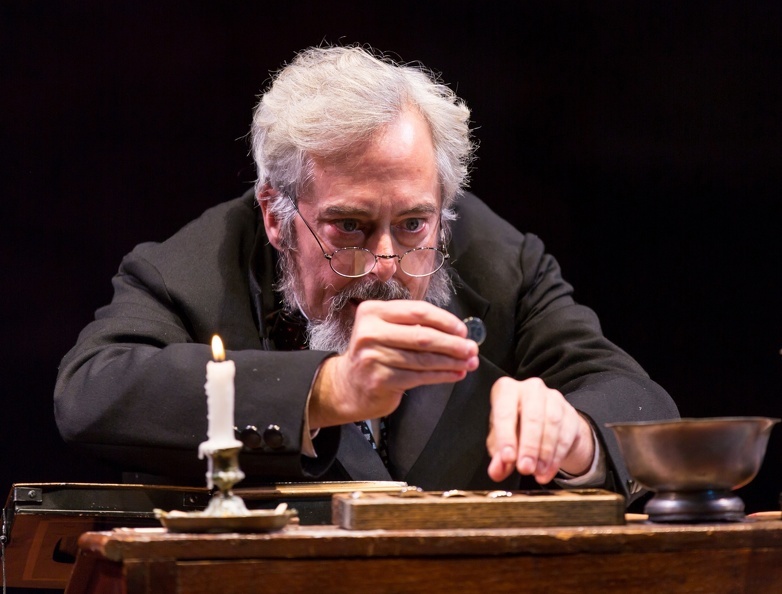 A Christmas Carol has been extended through Dec. 30 at Hartford Stage, 50 Church st., Hartford. Performances are Tuesday-Saturday at 7:30 pm; matinees Wednesday, Saturday and Sunday at 2 pm. Tickets are $25-$90: hartfordstage.org. Like the immigrants who come to America in this musical, Rags gets a second chance at life in this Goodspeed production directed by Rob Ruggiero. David Thompson re-imagines the book, originally written by Joseph Stein. It is bolstered by a score by Charles Strouse and Lyrics by Stephen Schwartz and a current political environment that has put interest in immigration center stage. In 1910, Russian immigrant widow Rebecca Herhkowitz (Samantha Massell) and her son, David (Connecticut native Christian Michael Camporin) arrive at Ellis Island with empty pockets, but hearts full of hope for a new life. While on board the ship bringing them to their new home, Rebecca becomes friends with young Bella Cohen (Sara Kapner), who is on her way to reunite with her father, Avram Cohen, who works on New York's lower east side in the garment industry. Bella convinces Avram to vouch for Rebecca, a gifted seamstress, and David, and the mother and son are given a place in the family business and home. 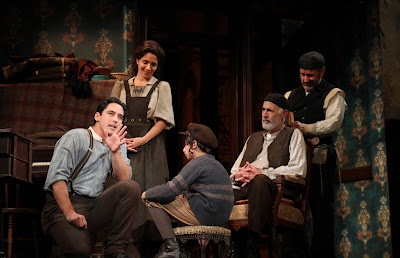 Rounding out the tenement environment are Avram's sister, Anna Blumberg (Emily Zacharias), her husband, Jack (Mitch Greenberg), an employee of the dressmaking business named Ben Levitowitz (Nathan Salstone), who turns Bella's head against her father's objections, and neighbors Rachel Brodsky (Lori Wilner), who has her sights set on Avram, and Italian Sal Russo (seam MacLaughlin) who celebrates Sabbath with the group and falls for Rebecca when he's not spending his time trying to convince workers to strike for better wages and conditions. Interfering with that last love story is underhanded, wealthy Max Bronfman (David Harris) who uses his influence in the garment industry and the promise of material goods to keep Rebecca's romantic interest, even while he takes advantage of her dress design ability and offers jobs in unsafe factories. The sweeping story unfolds with the help of more than 30 songs, a set (designed by Michael Schweikardt) enhanced by projections of historic photos (design by Luke Cantarella) and lighted by Designer John Lasiter, with period costumes designed by Linda Cho. If the plot seems a bit predictable, there are some subtleties that balance it out. We care about the characters and are rooting for them to succeed. All of the performances are engaging. Ruggiero keeps things from getting too saccharine or political. Parker Esse's understated choreography provides movement without eclipsing the storytelling. Orchestrations, as usual are by Dan DeLange with Michael O'Flaherty music directing. David Loud provides vocal arrangements (volume on some vocals seems to high -- design by Jay Hilton). Rags embraces the American dream through Dec. 10 at Goodspeed Opera House, 6 Main Street, East Haddam. Performances are Wednesday at 2 and 7:30 pm; Thursday at 7:30 pm (with select performances at 2 pm); Friday at 8pm; Saturday at 3 and 8 pm; Sunday at 2 pm (with select performances at 6:30 pm). Tickets are $29-$89: goodspeed.org; 860-873-8668. Ensemble: JD Daw, Ellie Fishman, Danny Lindgren, Sarah Solie, Jeff Williams, Giovanni DiGabrielle, Catalina Gaglioti, Gordon Beck. Thanksgiving Food Drive: Monday, Nov. 20 at the 2 and 7:30 pm. Buy one ticket, get one free for select seats with a generous non-perishable food donation to benefit the East Haddam Food Bank. Additionally, Goodspeed will be collecting donations at all performances during Thanksgiving week, Nov. 20-26. Music Theatre of Connecticut is the little theater that could when it comes to producing big musicals and Director Kevin Connors is the engineer. Jason Robert Brown's sweeping The Bridges of Madison County is the latest of the big Broadway musicals to appear n MTC's intimate stage with stunning results. When I heard a few years ago that MTC was attempting to stage Next to Normal, I scoffed (sorry, but it's true). It is a very difficult score requiring most of the cast to belt into the rafters. And this show on Broadway had rafters -- a multi-leveled set depicting the frame of the family's house which became a character of sorts itself as lighting design brought to life the electrical impulses in the brain of a character suffering from Bi-Polar Disorder. How could that ever translate to the tiny little stage (then in the old theater in Westport that seated about 50)? Connors made me eat any doubt I might have had. He cast Juliet Lambert Pratt in the lead and with a strong cast, transformed that small space into a storytelling wonderland. Then, when MTC moved to its new space -- a bit larger, but still small and intimate -- Connors tackled Andrew Lloyd Webber's big-scale musical Evita. While Next to Normal has a small cast and seemed more likely to fit in a smaller setting, Evita certainly did not. Again, I was very pleasantly surprised to see the re-imagined musical come to life in small scale, with emphasis given to relationships. Scenes came into focus in a way they never had in the big-stage version and I decided then and there to stop doubting. When I saw The Bridge of Madison County on MTC's 2017-2018 season, my first instinct was to think, "Are you kidding?" The huge score is very difficult -- Kelli O'Hara and Steven Pasquale, two of the best voices on the Great White Way, had starred in the Broadway version and sang their lungs out -- not to mention accompaniment by a full orchestra to convey the complexity of the music. Sets had depicted the sprawling Iowa sky. Before doubt could set in, I remembered the past two shows I thought would be impossible to mount on a small stage in Connecticut and went to the theater with eager anticipation. I wasn't disappointed. If you are wondering why I have chosen to comment more personally, instead of getting right to a show review, it is because I want to make sure that none of my readers are making the same assumptions I was about whether or not these musicals are worth seeing at MTC. They definitely are. For Francesca, the bored Iowa housewife in Bridges, Connors again taps Pratt (who won the CT Critics Circle Outstanding Actress Award for her performance in Next to Normal). The belting is there. So are the multi layers of Francesca, who is torn between her lover and her family. Sean Hayden is Robert, a National Geographic photographer who falls in love with Francesca, while he is on assignment to shoot the covered bridges in Madison, County. His rugged good looks and silvery voice are just right for the part. It's a pleasure to hear these songs again, especially "It All Fades Away." Marsha Norman's book improves the story from Robert James Waller's bestselling novel (which I couldn't get through) and the screenplay, which miscast Meryl Streep and Clint Eastwood in the main roles. Norman rounds out the love story with development of Francesca's family: husband Bud (George Roderick), daughter Carolyn (Megan O'Callaghan and son, Michael (Matt Grasso.) She also adds humor through neighbors Marge and Charlie, delightfully portrayed by Kristi Carnahan and Frank Mastrone. 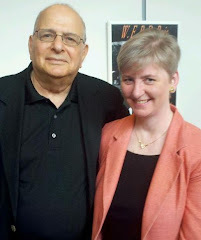 We even meet Francesca's sister, Chiara (Mia Scarpa),, in flashbacks of how Bud met his war bride back in Italy. All of these other folks, and Francesca's relationship with them, help us understand the decisions she makes. Nolan Bonvouloir music directs and plays keyboard for a four-person band house on a platform at the rear of center stage (a cello, violin and guitar are all that are needed to bring Brown's score and orchestrations to life). The sides of the upper platform serve as various locations while most of the action takes place on the floor. A few props are all that is needed to transform scenes from Francesca's farmhouse to the Roseman Bridge (a couple of gables hang from above) to a journey in a truck. (Set Design by Jordan Janota). 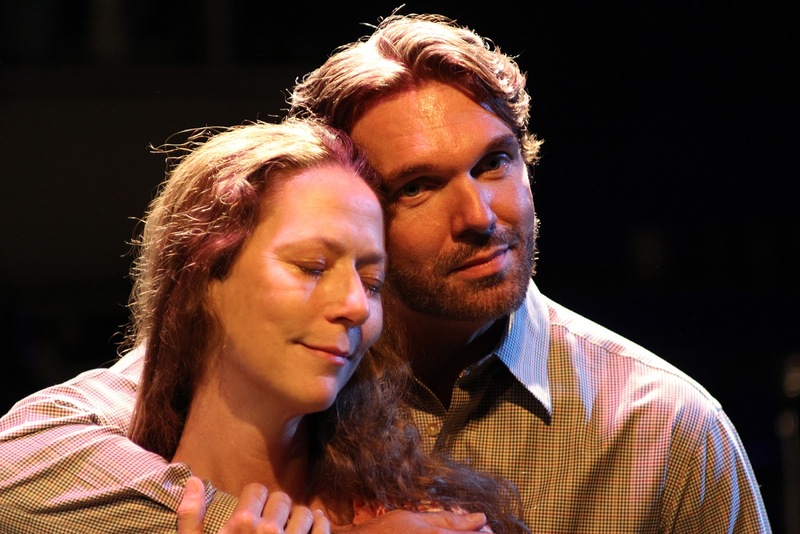 The Bridges of Madison County is Kevin Connors' gift of big theater magic in a small package. Don't miss an opportunity to hear this beautiful score performed really well, both vocally and instrumentally. The Bridges of Madison County plays through Nov, 19 at Music Theatre of Connecticut, 509 Westport Ave. , Norwalk. Performances are Fridays at 8 pm, Saturdays at 4 and 8 pm, Sundays at 2 pm. Tickets are $30-$55: musictheatreofct.com; 203-454-3883. A tour-de-force performances by Mia Dillon heads this look at a family trying to put the past behind. In the case of this clan, it's a pretty horrific past. Erzsike (Dillon) did what she had to do to survive during communist rule of Budapest, Hungary. That included being the mistress of torturer and killer Attila (Jeremy Webb). Now, 13 years after the fall of the Berlin Wall, Budapest's House of Terror Museum has opened and a wall exhibiting portraits of murderer's under the past regime ignites embers of discord in her home. Her estranged daughter, Judit (Birgit Huppuch) is the curator of that exhibit and has included a picture of her mother, even though Erzsike proclaims she knew nothing of the torture and murder taking place in the basement of the office building where she worked, even though it was the home of the Nazi-affiliated Hungarian Arrow Cross Party during World War II and to the AVO, the brutal secret police of the Hungarian Communist Party. Dillon's performance is bold and chilling. In flashback ( Director Elizabeth Williamson and Lighting Designer Marcus Dilliard) create clear time travel that doesn't distract from the present) we see her helplessness as a 19-year-old chosen to be Attila's mistress while growing fond of the demanding military man. We also cringe when she is handed off, almost as a piece of property, to Tamas (Liam Craig) for a marriage that is doomed to fail, but Erzsike continues to make sacrifices for her children. Perhaps the most chilling component is a matter-of-fact disclosure that all of her conversations and movements seemed to be under surveillance by the communist regime. Adding some much-needed humor is a continuing gag that has David mispronouncing vowels in his otherwise almost-perfect Hungarian (the technique at the beginning to slip changes in the dialogue that allow us to understand whether English or Hungarian is being spoken by the group, even though we are always hearing English, is very clever). This is pretty heavy material layered on the standard dysfunctional family theme. So overall, it's pretty depressing. Having David also be a counselor who offers his help to the dysfunctional family feels glib. 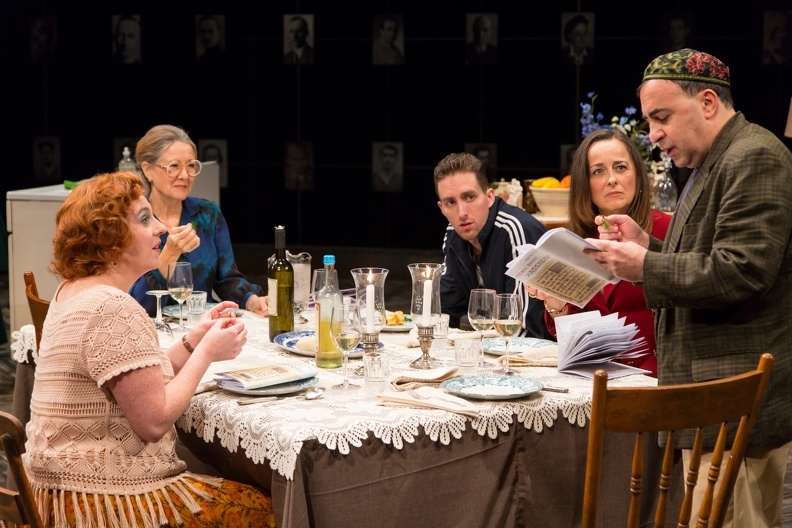 The idea that David would insist they continue on with the Seder (and that they would) also seems a bit forced, though the play apparently is based on a true story. Seder is part of Gancher's seventh cycle of plays set in Budapest, where she lived for several years. Seder runs through Nov. 12 at Hartford Stage, 50 Church St., Hartford. Performances are Tuesday, Wednesday, Thursday and Sunday at 7:30 pm; Friday and Saturday at 8 pm and Sun at 2 pm. Tickets are $25-$95: 860-527-5151; hartfordstage.org. Open Captioned Performance Sunday, Nov. 5 at 2 pm. Adapted by Wendy Kessleman from the play by Frances Goodrich and Albert Hacke (based upon "Anne Frank: The Diary of a Young Girl"
The lights go down. A Nazi hate song chills the air and young Isabelle Barbier enters house left looking so much like the real Anne Frank that we think we are seeing a ghost. 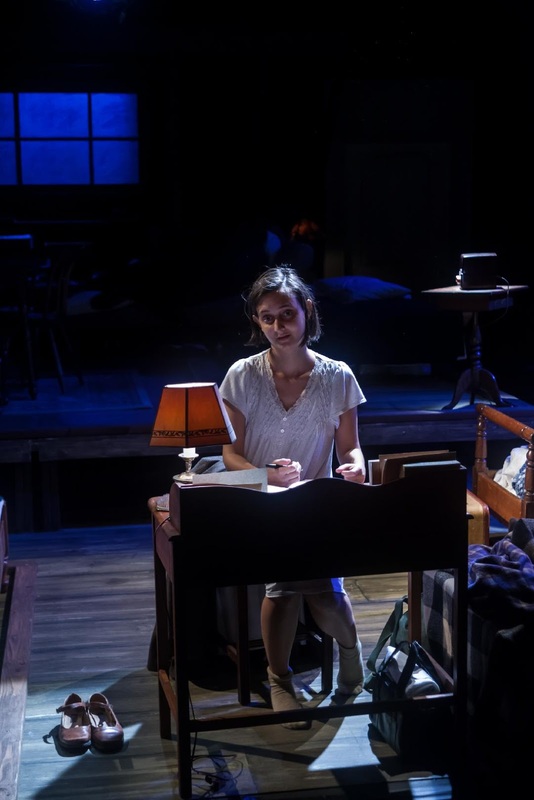 The stage at Playhouse on Park is set for one of the most gripping productions of The Diary of Anne Frank you'll ever see, as directed by Ezra Barnes. 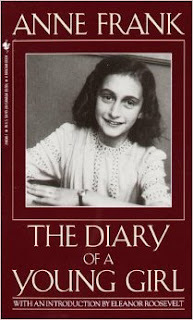 Wendy Kesselman's adaptation of the play by Frances Goodrich and Albert Hackett, based on Anne Frank's diary detailing her years avoiding capture by the Nazis in World War II Amsterdam, offers an absorbing study of a teenage girl trying to make the best of her situation despite the horror and fear that surround her every day -- and Barbier channels Anne for an emotional and gripping experience. When she sheds outer clothes to complete her move into the attic, she reveals the requisite yellow star of David with each garment (Costume Design by Kate Bunce) as well as the promise of many layers of Anne's character to come. When Anne's sister Margot (Ruthy Froch) receives orders to report to a work camp, her family knows what that really means in 1942 Amsterdam -- a sentence to board one of the trains regularly deporting thousands of Jews to death camps. Otto Frank (Frank van Putten) makes arrangements with his business associate, Mr. Kraler (Michael Enright), to hide the Franks along with another associate, Mr. Van Daan (Allen Lewis Rickman), his wife, (Lisa Bostnar), and son Peter (Alex Rafala), in the attic of the annex of his former office building. 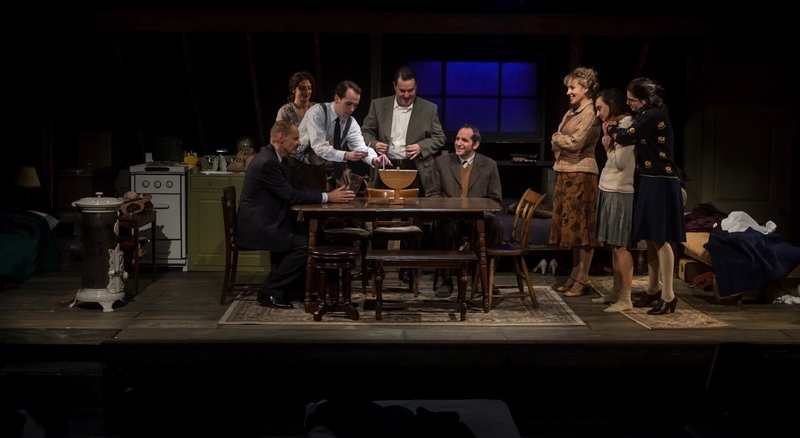 The families, who are quite different, are thrown together in cramped quarters (Scenic Designer David Lewis gives a broad view of the attic with multiple levels). Mr. Van Daan spends most of his time smoking cigarettes and thinking about food (when he isn't stealing rations while the others sleep). His wife longs for a return to her privileged existence, and buries herself in the fur coat given to her by her father to escape. Shy Peter, who likes to stay in his own room with his flea-ridden cat, is no match for the vivacious, inquisitive Anne who is starting to discover her sexuality. Being cooped up in the attic where the inhabitants can't make any noise (including using the water closet) during business hours begins to take its toll, especially after a dentist, Mr. Dussel (Jonathan Mesisca), needs a last-minute escape and is added to the group. He brings his own quirks -- and devastating news about the fate of friends who were unable to go into hiding or escape. During the 25 months in the attic, rebellious teen Anne decides she hates her mother. Edith Frank (a terrific Joni Weisfeld) must add that burden to a set of worries that already have her in a state of depression: Margot's health is deteriorating, Mrs. Van Daan flirts with Otto, Anne and Peter's relationship is changing and every noise might mean that the Nazi's have discovered their hiding place. Every performance in this production is nailed with individual clarity. Barbier taking the spotlight as she creates a multi-faceted Anne who pulls at our heartstrings. The drama is so absorbing, that I felt as though I had spent months in the attic, even though only an hour and 15 minutes had passed before intermission. The play seems very relevant today in the midst of news reports about the rise of Antisemitism and Nazi-themed hate groups. It boggles the mind how anyone would embrace being part of causing the terror felt by our friends in the attic, and Anne's staunch belief in the good of humanity calls to us across time to resolve that this must never happen again. Don't miss this one. The Diary of Anne Frank, produced in partnership with the Jewish Community Foundation and the Jewish Federation, runs at Playhouse on Park, 244 Park Road, West Hartford, through Nov. 19. Performances are Wednesday and Thursday at 7:30 pm; Friday and Saturday at 8 pm; Sunday matinee at 2, followed by a talk back with the cast. Special Tuesday matinee on Nov. 7 at 2 - all seats $22.50 this show only. Tickets are $25-$40: playhouseonpark.org; 860-523-5900 x10. Dewey (Rob Colletti), a down-on-his-luck rock musician wannabe is facing his swan song when he gets kicked out of his band, loses his job and can't pay the rent to buddy Ned (Matt Bittner) where he has been freeloading. Ned's uptight, bossy significant other Patty (Emily Borromeo) demands that he get out. Dewey intercepts a substitute teaching offer for Ned at Horace Green, an upscale private school willing to pay a lot of bucks. Dewey pretends to be Ned and soon finds that he has a classroom full of privileged kids who play musical instruments. He convinces them to form a band and enter a competition without involving the input of their achievement-oriented parents or rule-following principal Rosalie (Lexie Dorsett Sharp). Romance and chaos ensue. A score by Andrew Lloyd Webber (Evita, Cats, Jesus Christ Superstar) and a book by Julian Fellowes ("Downton Abbey") might be enough for a pleasant theater experience all on their own (and they are), but add to them some extraordinarily talented kids who all play their own instruments and you have a winner. Laurence O'Connor directs the fast-paced action on Anna Louizos' practical sets and JoAnn M. Hunter outs through some jumping choreography for the rousing numbers "Stick it to the Man" and "You're in the Band.". Sharp is excellent as the repressed headmistress who suppresses a passion for Stevie Nicks. She also has a great voice and does a nice rendition of "Where Did the Rock go," one of my favorites form this score that doesn't really sound a whole lot like Andrew Lloyd Webber's usual fare. That jumping choreography appears to be a bit beyond the reach of Colletti at times, but he has a great on-stage rapport with the kids. It's hard to hear dialogue at times, particularly when individuals are speaking over music (Sound Design by Nick Potter). 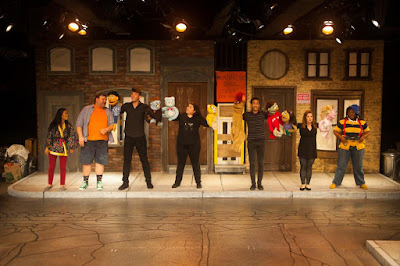 Merritt David Janes as Dewey Alternate, Deidre Lang as Ms. Sheinkopf, Olivia Bucknor as Shonelle, Theodora Silverman as Katie, Chloe Anne Garcia as Marcy, Carson Hodges as Mason, Gianna Harris as Tomika, Gilberto Moretti-Hamilton as Freddy, Phoenix Schuman as Zack, John Michael Pitera as Billy, Theo Mitchell-Penner as Lawrence and Ava Briglia as Summer. The adult ensemble features John Campione, Patrick Clanton, Christopher DeAngelis, Kristian Espiritu, Melanie Evans, Liam Fennecken, Kara Haller, Elysia Jordan, Jameson Moss, Sinclair Mitchell, Tim Shea and Hernando Umana. The kid’s ensemble features Rayna Farr, Bella Fraker, Alex Louis, Tommy Ragen, Gabriella Uhl and Aiden Niklas Villa. School of Rock is in session at the Bushnell, 166 Capitol Ave., Hartford, through Oct. 29. Performances are Thursday at 7:30 pm. ; Friday at 8 pm; Saturday at 2 and 8 pm; Sunday at 1 and 6:30pm. Tickets are $22.50-$135.50: bushnell.org; 860-987-5900. Here's a play that reminds us how great theater can be. Matthew Barber's Fireflies, getting its world premiere at Long Wharf Theatre, directed by Gordon Edelstein, is an absorbing piece of storytelling with vibrant characters experiencing a wide range of human emotion. The star-studded cast features Jane Alexander as retired school teacher Eleanor Bannister, whose lonely life rivals the Texas weather for being long and dry. Until one day, when drifter Abel Brown (Denis Arndt) enters the picture, however. The man inserts himself in Eleanor's rental cottage in exchange for doing some renovations on it-- and into her heart as well. Friend Grace Bodell (Judith Ivey), who keeps a watchful eye on her neighbor's comings and goings, is suspicious of Brown, whom she believes to be a con man after Eleanhor's money -- and perhaps more. She calls in Eleanor's former student, Eugene Claymire (Christopher Michael McFarland), now a Groverdell police officer, to help out. When some information about Abel's past comes to light, Eleanor has to admit that Grace's suspicions might be right, but she can't deny the feelings that have left a warm glow in her heart. Everything about this production, based on the novel "Eleanor and Abel" by Annette Sanford, is perfection. Alexander gives a moving portrait of a woman who is afraid to hold on to the hope of happiness after spending so many years convinced it would never come. She's slowly felt the life go out of her since losing her parents 18 years ago and Abel might just be the spark that can reignite it. 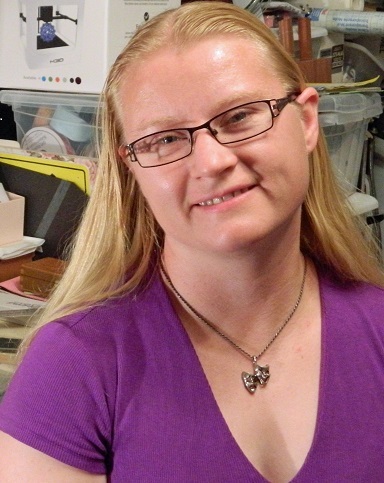 Ivey is a hoot as the non-stop talker, busybody neighbor with a heart the size of Texas. At first annoying, she wins us over and makes us wish we had a neighbor like this who would come over on the pretense of borrowing a can of pineapple so she can have an excuse to talk our ear off. Arndt creates an enigmatic character who we never are sure we can trust, but he gives back as good as he gets and shows enough of Abel's good side that we find ourselves rooting for him. Even McFarland, whose role is brief, captures the audience with the humor of a man confronting a former teacher who didn't like him much as a schoolboy. Fireflies lights up the stage at Long Wharf Theatre through Nov. 5. Performance times vary. Tickets are $29-$90.50: longwharf.org. Don't miss this one. If you've ever thought that a group of teenage girls seems like a pack of wolves, you might be on to something there. What's atypical in Sarah DeLappe's outstanding debut drama, which was a finalist for the 2017 Pulitzer Prize, however, are the compelling character studies the playwright nets in just over 90 minutes with no intermission. Dribbling the ball through the field of expected concerns and emotions of 17-year-old competitive girls, DeLappe sneaks by defenses and presents an unexpected kick: another side to the story. These girls are on the cusp of womanhood, and feel pressure to act like adults, but they are really just steps away from childhood and aren't quite sure how to deal with the confusion (one teammate gushes over the thought of a possible trip to Disney World.) They all wear the same uniform (Costume Design by Blair Gulledge) and they deal with the force of needing to belong and to be accepted, but they also need to discover who they will become individually and find a way to break from the pack. Rachel Caplan (Armenian #14), Carolyn Cutillo (anorexic #2), Karla Gallegos (goalie #00 who throws up before every match), Déa Julien (pothead #13), Shannon Keegan (the smart one #11), Emily Murphy (captain/rule enforcer #25), Claire Saunders (childlike #8), Caitlin Zoz (the new girl #46) and Olivia Hoffman (the star who will be sidelined with an injury #7). When tragedy strikes, the bubble of the girls' fairly privileged existence is burst by the need to deal with real loss and suffering. The teammates find they don't have all the answers. Phrasing things in a politically-correct way won't help here. Even one of the soccer moms (Megan Byrne) is at a loss to help, but the girls find strength in themselves and in each other to continue on. The performances score a goal, as the girls go through their paces doing thrusts, squats and passing exercises all while reflecting on life as they see if from Mariana Sanchez's simple set of sloping AstroTurf. It's a different kind of theater and an extraordinary first work by a playwright. Director Eric Ort fails to capture the essence of the female universe in the first crucial 10 minutes, however, leaving many wondering what this play is about or what the plot might be (many still seemed to have questions on the way out of the theater, unfortunately.) The opening needs to be tighter and sharper to allow the overlapping, brisk dialogue to carve out precise character and momentum instead of sounding like a bunch of silly chatter. To be honest, it feels he's trying to figure out what he's dealing with here -- a guy trying to navigate the world of female brains in rapid fire. Later he skillfully finds his footing and leads the girls through their pre-game routines (with help from soccer advisor Lexi Menard) and staging that makes sure our eye stays on the ball -- that is to say, where our focus should be directed -- so we can field the next conflict or complex emotion. This play caused such a sensation Off-Broadway last season (it was nominated for the Lucille Lortel and Drama League awards for Best Play, and for the Outer Critics’ Circle John Gassner Award for Outstanding New American Play) that it is getting another run at Lincoln Center next month featuring a number of the original cast members. Lila Lila Neugebauer, who helmed the Playwrights Realm production, will return to direct. 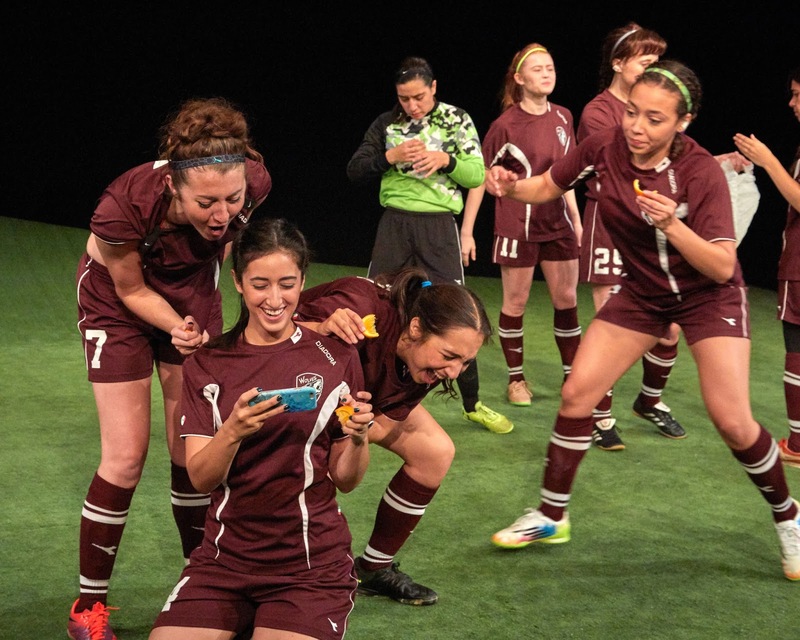 The Wolves pack together through Nov. 5 at TheaterWorks, 233 Pearl St., Hartford. Performances at Tuesday, wednesday, Thursday at 7:30 pm; Friday and Saturday at 8 pm; Weekend matinees at 2:30 pm. Weekday matinees added Oct. 18, 25 and Nov. 1. Tickets are $55-$70: theaterworkshartford.org. The League of Professional Theatre Women is committed to promoting and advocating for professional women in theater and to providing members networking and development opportunities. 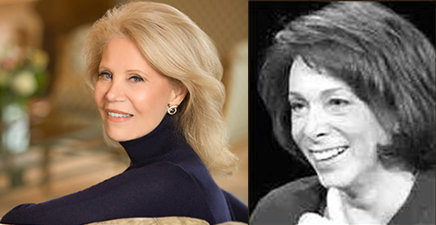 The Connecticut Chapter is co-founded by state residents and members of the League, Lauren Yarger (Broadway and Connecticut theater critic), Mary Miko, (Special Events Coordinator at Goodspeed), Tracey Moore (Actress/Educator) and Marie Reynolds (Actress/Director/Producer). All Connecticut women working in professional theater are invited to join the CT Chapter which holds events regionally throughout the year. For more information contact CTchapter@theatrewomen.org or visit the chapter's website at cttheaterwomen.wordpress.com. 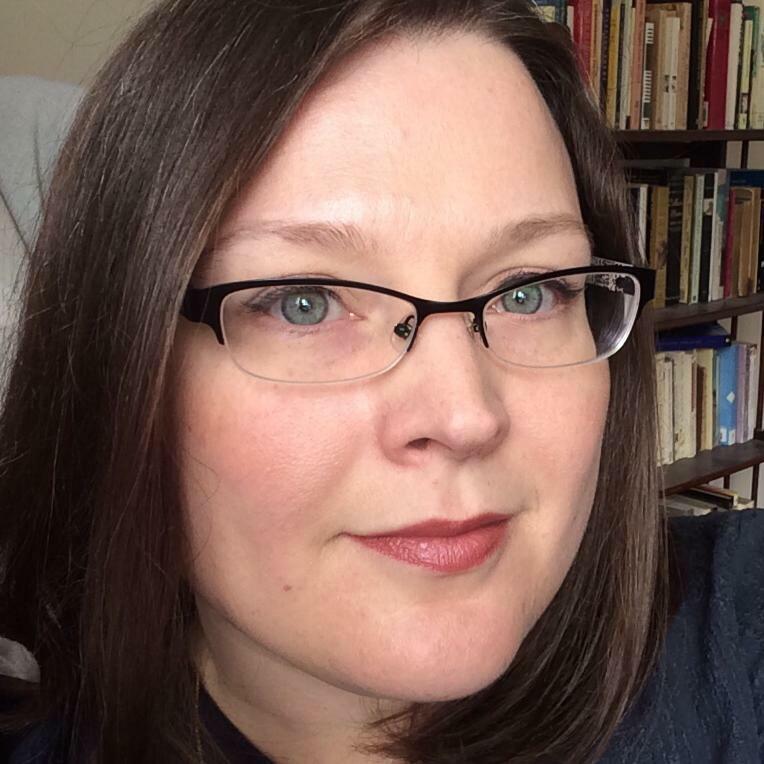 Elizabeth Williamson is Hartford Stage's associate artistic director and also leads the company's work in new play development. For Hartford Stage, She has directed Cloud 9, translated La Dispute, and dramaturgedHeartbreak House, Anastasia, Romeo and Juliet, The Body of an American, An Opening in Time, Hamlet, Reverberation, Macbeth, Man in a Case, A Gentleman's Guide to Love and Murder, and others. 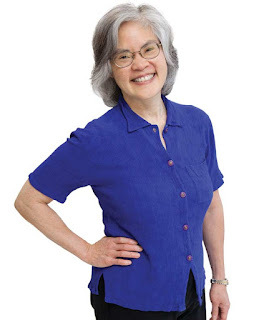 Before joining Hartford Stage, Williamson served as Associate Artistic Director and Literary Manager for Pioneer Theatre Company, where she premiered Bess Wohl'sTouch(ed) and In, and Wendy MacLeod's Find and Sign. She has worked around the country with About Face Theatre, the American Conservatory Theater, Aurora Theatre, the Bay Area Playwrights Festival, Berkshire Opera, Court Theatre, HERE Arts Center, the La Jolla Playhouse, Lincoln Center Theatre Directors Lab, Lorin Maazel’s Castleton Festival, the Magic Theatre, Steppenwolf Theatre, Theatre de la Jeune Lune, and the Williamstown Theatre Festival. Education: Bachelor of Arts in Theatre Directing and Comparative Literature, Bennington College; Master’s in European Literature, Oxford University; trained at the École Jacques Lecoq. Awards: NEA Fellowship in Literary Translation. Tilly is an English theatre designer based New York. Recent credits Underground Railroad Game (Lucille Lortel Nomination, International, National Tour and Ars Nova), Small Mouth Sounds (New York and National Tour), The Government Inspector (Duke on 42nd and New World Stages). Recognition - Lortel Nomination Best Costume Design, Balsamo Grant for Immigrant Artists, Irish Design Award, Irish Times Theatre Nomination and Onstage Critics Award. New York - Roundabout, Ars Nova, Women’s Project, Foundry, Red Bull Theatre, Cherry Lane, The Pearl, Clubbed Thumb, Here Arts Centre, Barrow Group, and La Mama. Regional - Williamstown Theatre Festival, New York Stage and Film, Alley Theatre, Shakespeare Theatre DC, Goodspeed Opera, OSF, Wilma, Hudson Valley Shakespeare, Two Rivers Theatre Company, Trinity Repertory Company, Pittsburgh Public & Westport County Playhouse. I am up against deadlines that are taking me out of town and limited time to write about the great shows I have seen recently in Connecticut. Here are some highlights (back soon!). Simpsons’ television writer and producer Mike Reiss returns with the story of Alvin, a cranky comedy writer (a talented Stephen Wallem) trapped in the rubble of an LA earthquake. His life plays out before his eyes in the form of a musical -- and he hates musicals. I enjoyed some laugh-out-loud moments (I enjoy Reiss's out-there, blunt sarcasm, even when Jesus and his mother, Mary, pay a visit.) James Valletti directs a solid ensemble including R. Bruce Connelly (who never fails to please and had me chuckling as Alvin's clueless agent, Lee), Will Clark, Sam Given, Amanda Huxtable and Ryan Knowles. Through Oct. 15 at Ivoryton Playhouse. Music direction and vocal arrangements by Michael Morris. Choreography by Schuyler Beeman. The set design is by Dan Nischan, lighting by Marcus Abbott and costumes by Elizabeth Cipollina. Performances are Wednesday and Sunday matinees at 2 pm. Evening performances Wednesday and Thursday at 7:30, Friday and Saturday at 8. The Victor Hugo classic plays another tour in Hartford (this revised 25th anniversary edition came through on tour a couple of years ago, then settled down on Broadway for a run that recently closed). 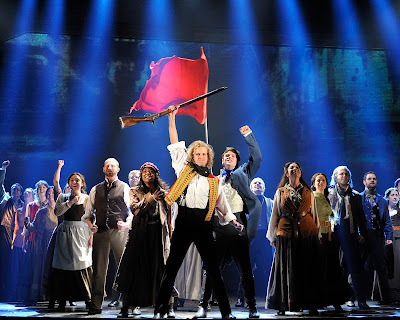 Nick Cartell (Jean Valjean), Josh Davis (Javert) and Phoenix Best (Eponine) nail "Bring Him Home," "Stars" and "On My Own" respectively. The vocals are pretty good across the board and Victor Hugo's own drawings serve as the backdrop. Lighting by Paul Constable is exquisite. Director Darko Tresnjak's take on Shakespeare's fairy-filled fantasy about love among gods and mortals. Bottom (a brilliant John Lavelle) and his troupe of actors putting on a play within a play (usually my least favorite part of this too-oft produced play) find new depth and comedy. Alexander Dodge's set is anchored by a beautiful rotating gatehouse, apparently inspired by the one at the Biltmore mansion in North Carolina. Its stone and ivy are surrounded by greenery and benches that transport us to another time and place, then Tresnjak effectively startles by placing Puck (Will Apicella) in the house. Through Oct. 8 at Hartford Stage. Performances are Friday, Saturday at 8 pm; Sun at 2 pm. Tickets start at $25: hartfordstage.org. Those zany not-for-kids puppets are back, this time at Playhouse on the Park, where director Director/Choreographer Kyle Brand has assembled the ensemble of performers who speak for the puppets. 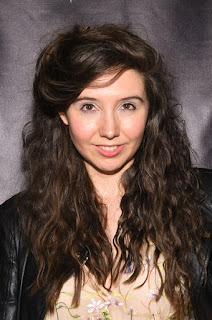 Ashley Brooke stands out as Kate Monster/Lucy. 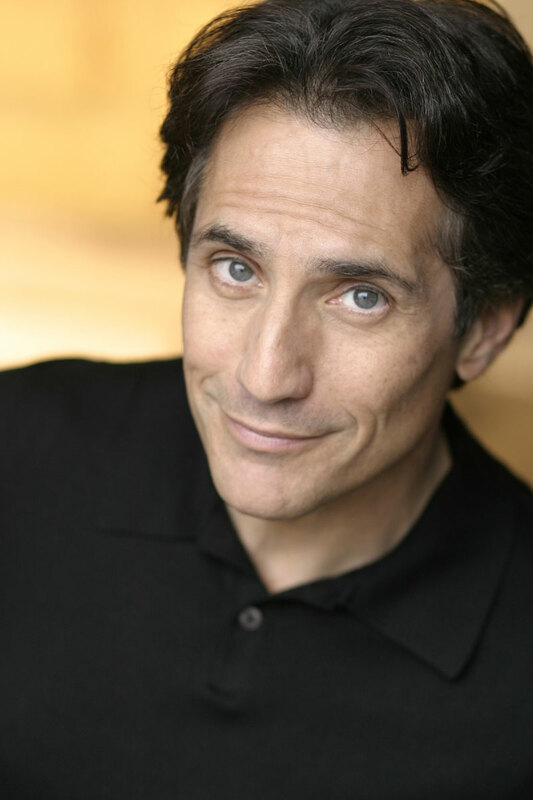 Robert Dubac proves that when something is funny, the joke can last for a lot of years. Dubac has been touring his one-man, five character exploration of man's psyche in the quest of what women really want for many years. The saucy, witty presentation is still entertaining. The piece has been updated with contemporary jokes. 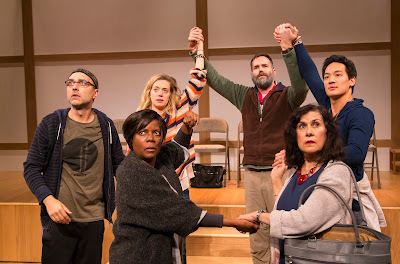 Small Mouth Sounds, wrapping up a run at Connecticut's Long Wharf Theater, had two acclaimed runs in New York (at Ars Nova in 2015 and at Signature Center in 2016), for which it received the 2017 Outer Critics Award's John Gassner Award. And the chatter doesn't stop there. Director Rachel Chavkin and the original Design team (Laura Jellinek, Scenic; Tilly Grimes, Costumes; Mike Inwood; Lighting; Stowe Nelson; Sound; Andrew Schneider, Projections; Noah Mease, Props), returned for the New Haven run, which launches a national tour. A play that has very little dialogue (it's a silent retreat, after all) went through a lot of changes before hitting the stage. Originally Wohl had includes a lot of dialogue, but then realized she hadn't followed the characters on the challenge she had set for herself. She tried complete silence and found that didn't work either. She finally settled on a more realistic format. People at a silent rereat (which she actually has attended) would be silent most of the time, but there would be some who would break the rules. There also is a spiritual teacher, who is heard, but not seen. Even after settling on the right storytelling format, the play still has gone through changes. It relies on stage directions and what the cast brings to their roles. "The other parts have just as much to do with the storytelling as the words," she said. 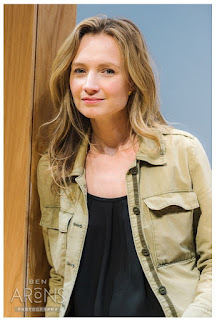 Even though her background is in acting (she has an MFA from Yale School of Drama -- you might know her from her work in the films, "Flightplan,"Heights" or "The Shaggy Dog"), Wohl she is still discovering how actors can contribute to the characters. The collaboration of the cast, the director, the creative teams and circumstances, the play develops. The result is that the Long Wharf production "feels new," she said. The cast there includes Connor Barrett (Jan), Ben Beckley (Ned), Edward Chin-Lyn (Rodney), Orville Mendoza (Teacher), Brenna Palughi (Alicia), Socorro Santiago (Joan), and Cherene Snow (Judy). She's not sure whether the thought of coming to see a "silent" play scares off audience members, who reading a description think, ". . . this is going to be a great place to take a nap," or intrigues them with its "cool" concept. Whichever expectation they have, Wohl hopes they have as much fun watching as she did writing. This play was a departure from her usual approach. American Hero, Barcelona, Touched and the book for the musical Pretty Filthy. fall more into the category of works known for witty dialogue and banter. Small Mouth Sounds offered a change-up. "I was tired of the sound of my own voice," she said. "I put myself in silent retreat as a writer." The time for women writers and directors on stage has arrived, Wohl said, especially in light of the current political climate. Small Mouth Sounds runs at Long Wharf Theatre, Stage II, 222 Sargent Drive, New Haven, through Sept. 24. CT).